Sitting in a doctor’s office waiting room can be an incredibly dry, boring and time-consuming process. It ranks right up there with waiting in line at the passport office or at the licensing office waiting to update your vehicle’s registration sticker. Ugh. Besides arriving late and potentially missing your appointment the best way for your healthcare office to assist in making wait times a little less painful is to adopt a good sense of design to pique the senses of your patients. Embracing design and building a space that helps distract people from the anxiety that’s often associated with the world of healthcare is one of the few ways you can improve the spirits of your guests – and their opinion of your practice. 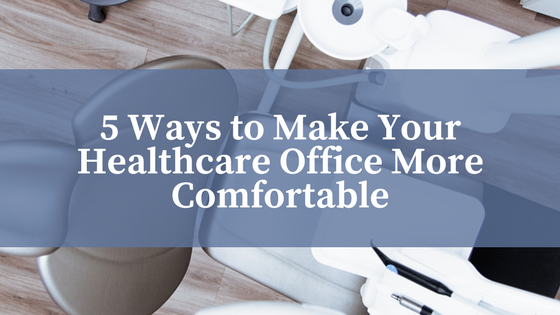 In this post we’ve condensed some great design tips for waiting rooms and ideas to help your patients feel at home, comfortable, and at ease. If your patients are physically uncomfortable sitting on hard benches or tiny chairs, it’s going to be difficult for them to relax. Plain and simple, providing comfortable seating in your waiting room is key to helping your space feel more comfortable. Improving the aesthetic of having new pleasant seating options will also boost the opinion your guests will have of your office; comfortable, clean seating in the waiting room means you’re thinking about the wellbeing of your clientele. Next is clear and concise signage. When your healthcare office is easy to navigate and interpret, your guests will inherently feel level-headed, less confused on which way to go, and more at home. Yes – this means no more awful beige or taupe paint. Boosting the visual appeal of your waiting room with lively and innovative colour choices can psychologically help your antsy patients to keep a cool head and remain calm. We’re strong advocates of colour psychology and its practical uses. It’s a viable way to help accomplish a more ideal state of mind for your guests. In an anxiety-inducing space like a healthcare office, cool colors like greens and blues enact restful, peaceful, and fresh emotions, creating the perfect mental state for those who could be feeling stressed, or frustrated by an hours wait. Blue specifically is suggested for high-traffic spaces like waiting rooms and is proven to help steady breathing and lower blood pressure. White is a great colour for boosting the psychological feeling of cleanliness, innocence and neutrality. Adding access to natural light can have a similar effect on the human mental state and feelings of both happiness and tranquility. It’s been found that light has the power to affect emotions like happiness and sadness through the nervous and endocrine systems. Simply put, reduce the light and reduce happiness. Increasing access to light is linked to a boost in elation and optimism. When you update or renovate your waiting rooms to increase access to natural light and use colour theory appropriately, you better your chances at helping your office feel more comfortable, and happier. Not all healthcare offices or waiting rooms offer food or refreshments, but the trend is a growing one. Meanwhile, many of these spaces – which advocate for healthy lifestyles and therefore eating habits – offer processed and sugar-ridden treats via vending machine instead of smart choices. A comfortable and reaffirming healthcare office should offer healthier choices that fall in line with the practice’s vision and health mantra. This means the employee break space as well – your employees and staff should be included in all your health considerations as well. An updated food offering space can be built and designed to mimic a conventional kitchen to reaffirm that healthy eating begins at home. Consider that offering fatty and health-damaging foods to people in a healthcare facility is much like selling crude oil at a Greenpeace conference – you just wouldn’t do it. Include a water cooler instead of a pop machine, and offer fruit instead of bags of chips, chocolate bars, or candy. Further, consider the psychology of grocery stores and supermarkets. Upon entry, guests are greeted by fresh, green veggies and produce to spark implications of health, life, and prosperity. For this reason, outfit your healthcare office with greenery like plants and scent-sensitive flowers. The Daily Mail tells us that when plants are present in an office or waiting area, levels of happiness and satisfaction go up – and the quality of air is also improved, as plants act as oxygen purifiers that absorb pollutants, dust and odours from the air. The study found that green office environments or waiting rooms are more consistently satisfying for their inhabitants. Patients waiting to see a doctor or who may be awaiting the results of an important test may be sitting there thinking: am I going to be OK? Is something wrong, why is this taking so long? What’s going on back there? As people are allowed to sit for long periods of time, they may inevitably raise their blood pressure or level of anxiety, thus making them increasingly uncomfortable and less likely to want to repeat the process in the future. As a nation, Canada experiences comparable timeliness of access to care when compared to six other OECD (Organization for Economic Co-operation and Development) nations, but does not fare well when compared to other countries with universal healthcare coverage. In today’s society, time is an ever-important commodity that only seems to be less and less available. Employing use of innovative IT and scheduling practices in-office will only help the perception of your healthcare office’s abilities. 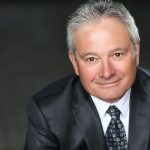 Keep people waiting too long, and they’ll leave with a bad message in their head – not much care for people’s time – resulting in a negative mental review and an inclination to explore other healthcare options. So in the meantime, do you best to boost spirits and offer comfortable seating, clear upbeat signage, and healthy refreshments.